The boss at Gulf Marine Services (GMS) said yesterday that tendering activity for decommissioning projects in the North Sea had picked up “slightly” in recent months. GMS chief executive Duncan Anderson said the Middle Eastern offshore vessel contractor would have to increase its north-east headcount if it stations more of its fleet in Europe. 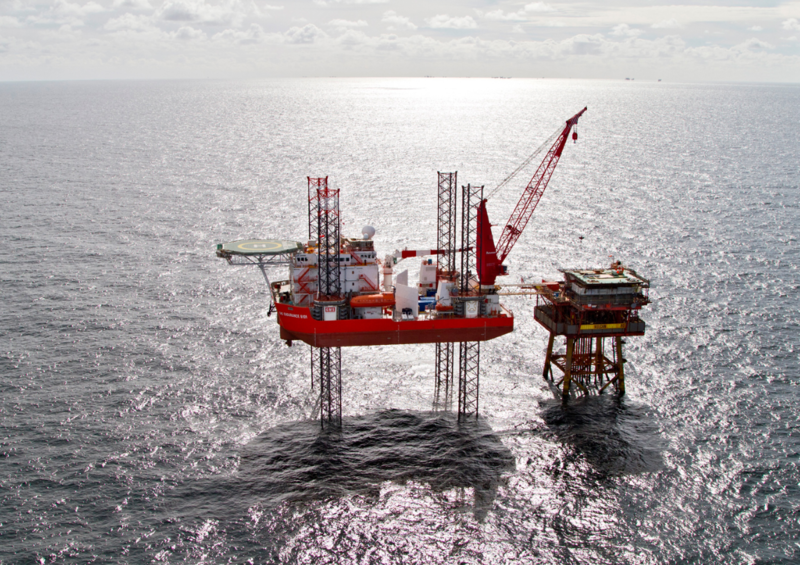 GMS secured its maiden decommissioning contract in the southern North Sea last summer, with ConocoPhillips as its client. Mr Anderson said the firm’s jack-up accommodation barge – the GMS Endurance – had “performed well” on Conoco’s Viking area and that the client was “happy”. He said GMS, which employs about 10 people at its base in Westhill, Aberdeenshire, had two vessels in the southern North Sea and was bidding for contracts “all the time”. Mr Anderson said: “We’re starting to see a slight increase in tendering activity. Operators in the southern North Sea are either doing life extension work on assets or are looking towards decommissioning. Mr Anderson was speaking after the company revealed its results for the first half of 2016. GMS, founded in Abu Dhabi in 1977, enjoyed a 12% increase in revenues to $110million, but pre-tax profits fell 22% to $28million. The company achieved a utilisation rate of 89% for its fleet of 14 self-elevating support vessels (SESVs) during the sixth months, down from 98% in the first half of 2015. On Tuesday, GMS said it had signed a letter of intent for a new 18-month contract for one of its large-class vessels in Europe, which would take its tally of crafts in the region to three. If the transfer goes ahead, Mr Anderson said GMS might need more North Sea employees. Mr Anderson said it typically supplied 20 to 30 people for each barge. Most of GMS’s employees, and most of its vessels, are based in the Middle East.